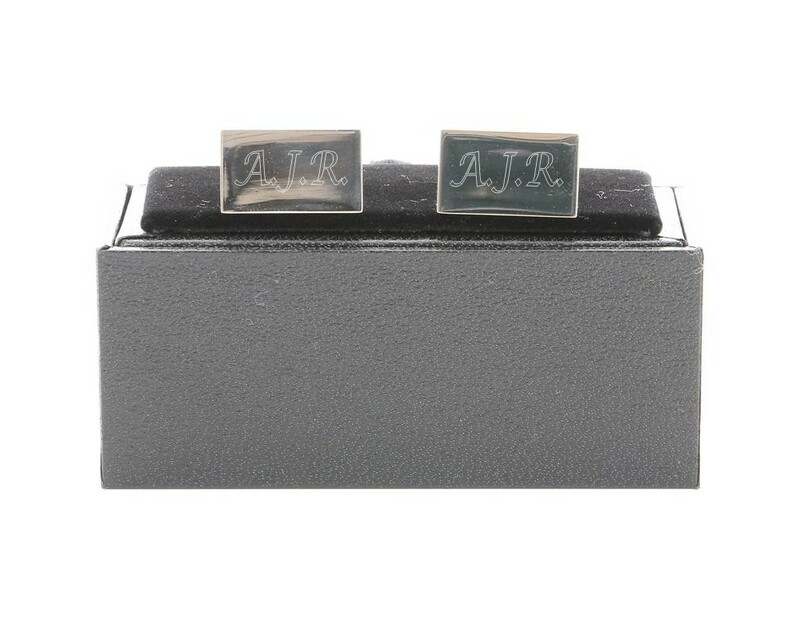 Engraved Silver Rectangle Cufflinks complete with a Gift Box. They measure 18mm x 13mm. A great personalised gift to have initials or a small message i.e Best Man, Usher, Father of the Bride. 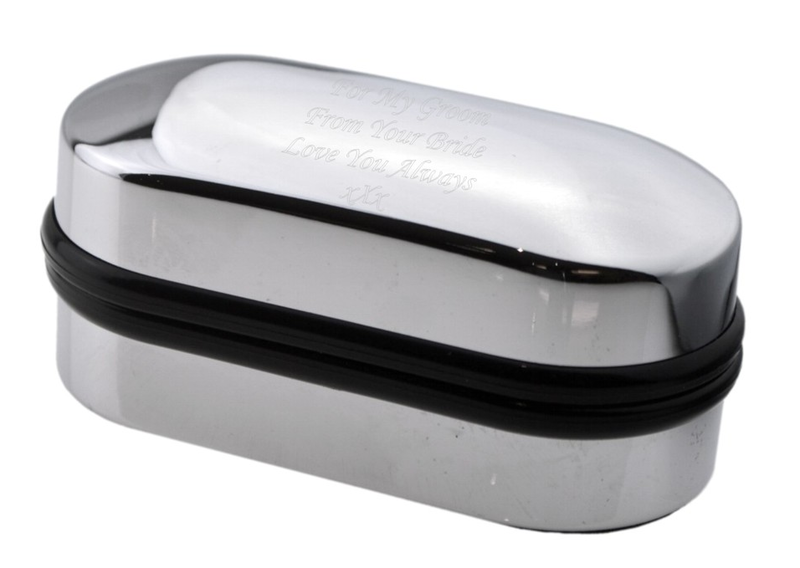 They come in the black standard cufflink box as shown or you can choose the silver cufflinks box and have it engraved too for an additional charge. Perfect for all occasions including Birthdays, Annivesaries, Weddings, Mothers Day, Christmas...it's endless!